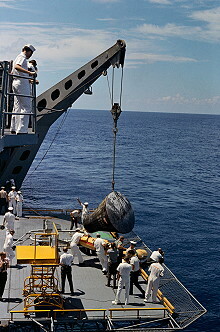 Launch from Cape Canaveral; landing 620 km southwest of the Bermuda Islands in the Atlantic Ocean. 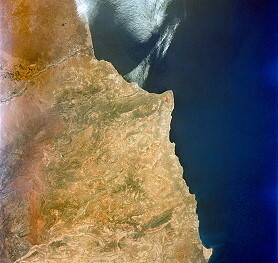 The launch was scrubbed because of a spacecraft computer malfunction, which ended in a hold of the countdown, and then thunderstorms approached the Cape Canaveral area. 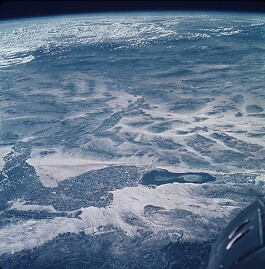 With the computer problem unresolved and the weather deteriorating rapidly, the mission was completely scrubbed and rescheduled for August 21, 1965. 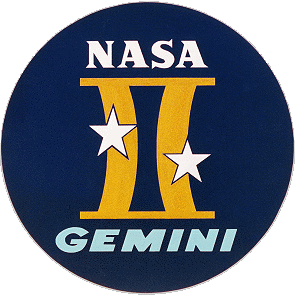 Gemini 5 was launched from Complex 19 on August 21, 1965 at 13:59:59.518 UTC and inserted into a 162.0 x 350.1 km Earth orbit at 14:05:55 UTC. Main goal of Gemini 5 was to set a new spaceflight record. 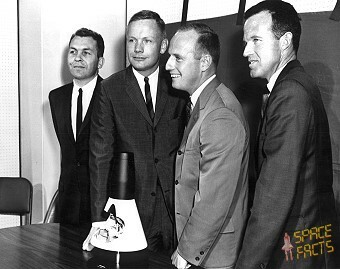 This flight was crucial because the length of time it took to fly to the moon, land and return would take eight days. 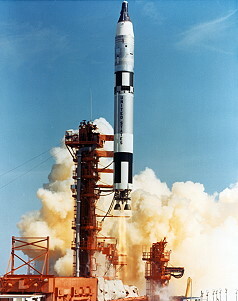 This was possible due to new fuel cells that generated enough electricity to power longer missions. 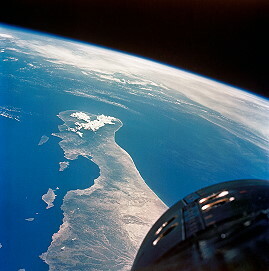 In addition a simulated Agena rendezvous was planned. 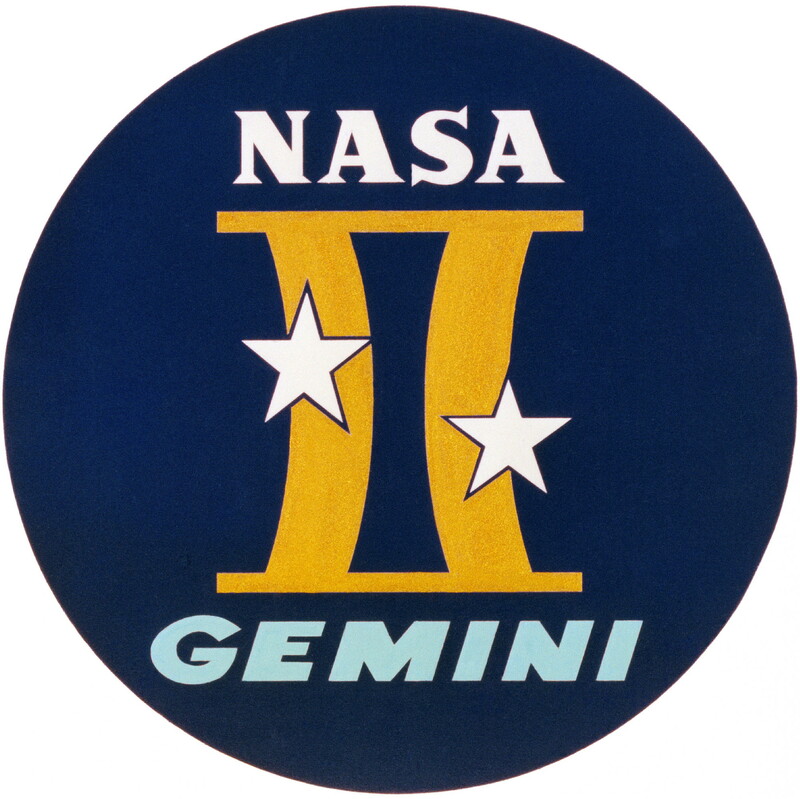 Gemini 5 was the first mission to have an official insignia patch. 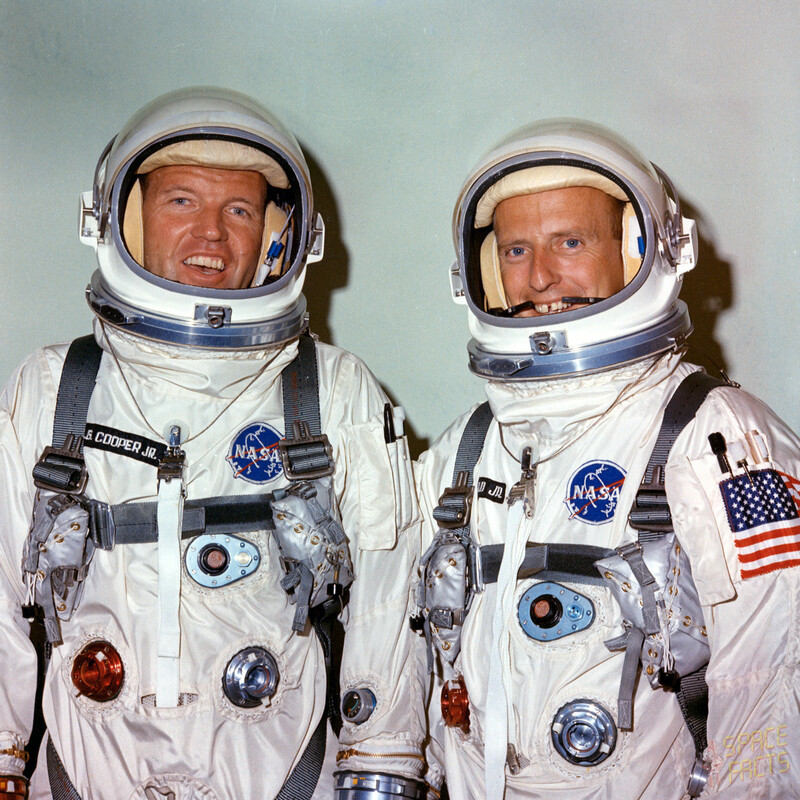 Gordon Cooper suggested a mission patch to symbolize the flight. NASA agreed. 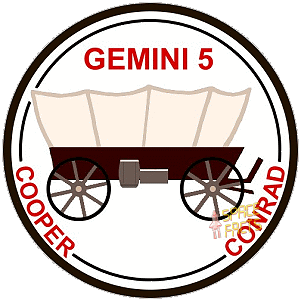 Gordon Cooper choose the image of a covered wagon due to the pioneering nature of the flight. 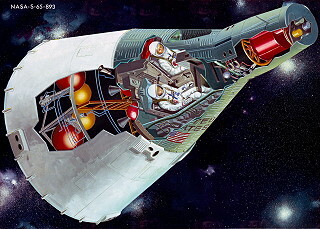 The slogan "8 Days or Bust" was emblazoned across the wagon, but NASA managers objected to this, feeling it placed too much emphasis on the mission length and not the experiments, and fearing the public might see the mission as a failure if it did not last the full duration. There were no problems during the first two orbits and the ejection of the (REP). 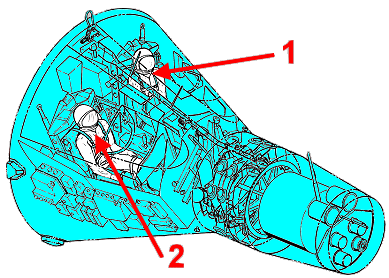 It was planned to evaluate the performance of the rendezvous guidance and navigation system, but then the pressure in the oxygen supply tank of the fuel cell system dropped down. 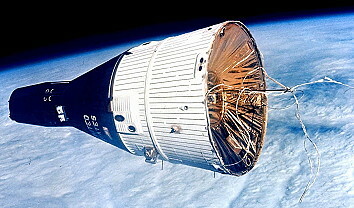 The spacecraft was powered down and the REP exercise was abandoned. Even a premature end of the mission was considered. But the powering up of the fuel cells was successful and the mission could continue. 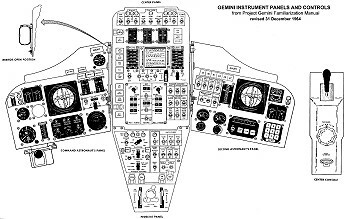 On mission day 3 a simulated Agena rendezvous with four different maneuvers was conducted at full electrical load, using the orbit attitude and maneuver system (OAMS). 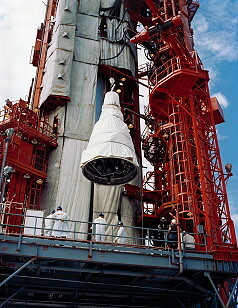 In the following days several thrusters failed, so the experimental and operational activities continued, but were limited. 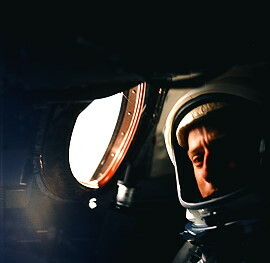 Only a few onboard medical tests were continued (the same as Gemini 4) to show the feasibility of longer flights and photographical work. 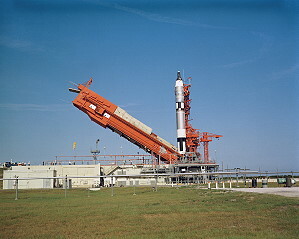 Seventeen experiments had been planned (one was cancelled). But this flight was a little bit boring and Charles Conrad later lamented, that he had no book to read. 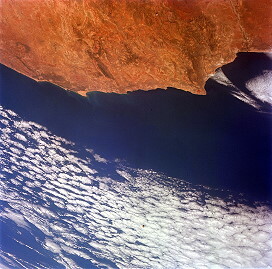 The main goal was now only, to have a new flight duration record, which was successful. 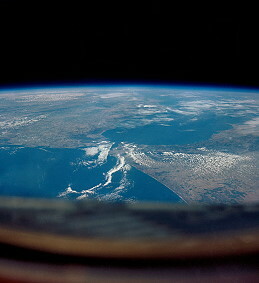 While Gemini 5 drifted, the cabin got cold. 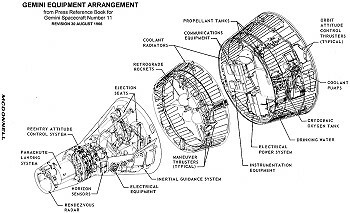 Because of the erratic, and sometimes inoperable, OAMS, the crew was allowed to use one of the two rings of the reentry control system to position the spacecraft properly more than one revolution before coming back to Earth. 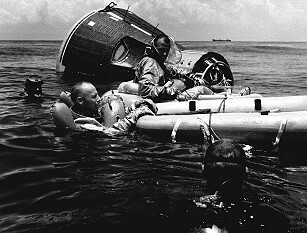 Due to a computing error (wrong programming), the crew landed 130 kilometers short of the planned landing point. A programmer had entered the rate of the Earth's rotation as 360° per 24 hours instead of 360.98°. 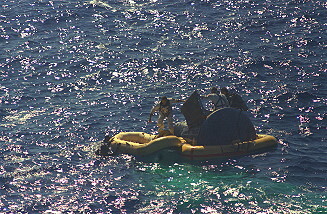 The short landing caused no problems for the U.S. Navy recovery forces. There were several carrier in the landing area. A helicopter (from USS DuPont) soon arrived and the crew was brought to the USS Lake Champlain.